I don’t want YOU to wait to heal…till its too late and you are left with more regrets than good memories. The time to heal is NOW! I want you to decide that you are going to take the first imperative step to heal…..and that step is to cut the problem at its root: our thinking. The best way to start is by using positive affirmations. 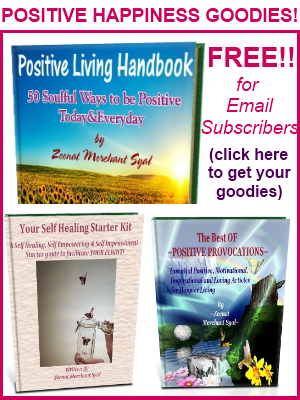 *****Special Mention: My dear friend Farnoosh Brock from Prolific Living has just created an audio program especially dedicated to Positive Affirmations. 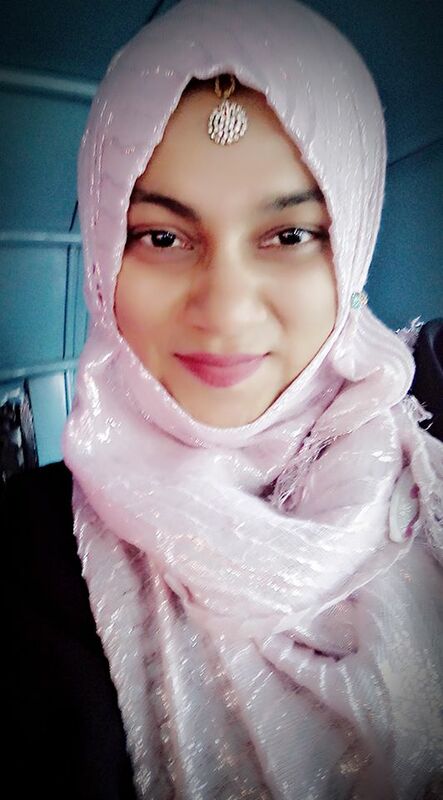 Zeenat, thank you so much for writing about this topic, for spreading your light and for sharing your message on positive affirmations. And a big bow of gratitude for sharing my program here. You bring SO much JOY to SO MANY! LOVE you! You know I have been reading all these positive affirmations and I remember you declared me one of the fans of Positive Provocations! They are LOVELY! I can see the power of these affirmations, I have used them many times. Healing of the heart may be a very slow process but we can definitely heal ourselves in this manner. Thank you for sharing so much of power! Love you right back Balroop! May we all have the wisdom to heal from within. These are so lovely and beautiful, Zeenat. My challenge is remembering to do anything regularly. That’s the reason I’ve never used positive affirmations in a regular way. But, I completely believe how powerful they are and I’m committed to positive self talk too. Much love to you, dear one. Sandra darling, I was regular with affirmations when I really needed the push. Now ofcourse I use them when the need arises. Beautiful, Zeenat! I’m a believer and although I am not as good at relying on positive affirmations as I’d like to be, I’m much better than I used to be! Yours are magnificent! Your beauty shines through love. Thank you fro being you and for sharing so lovingly. You have such a gift, Zeenat! I sometimes find it difficult to turn to positive affirmations when my thoughts seem to be spiraling, though I’ve gotten so much better at this practice in recent years! It really never is too late to heal…thanks for letting me receive some of your positive energy today!! When i started off I would also forget to use them especially in those down times when I should’ve! I started writing them on little post it notes and pasting them on my monitor, fridge and mirror. Worked like a charm. Try it. Waving hello to Farnoosh – we know each other through Serious Bloggers Only 🙂 Love how we’re all connected!! Z – I love your affirmations. Gorgeous, positive, life affirming, uplifting, and joyous. Great reminders for us all! Hello back at you lovely @Peggy :)! Small world. Beautiful world. Is it not? And that Farnoosh is something else. Love all that she creates. Beautiful Zeenat! Thanks for sharing! Glad you enjoyed these affirmations Betsy. I love these positive affirmations. Thanks for the inspiration! Thank you Cathy! I love how magical affirmations make us feel when we start using them. Thank you! This has made me feel I am not alone. I hope I can find my way back to where I was.